Charts for 50mm Binocular (5° aperture circle). Click on a chart to print it. 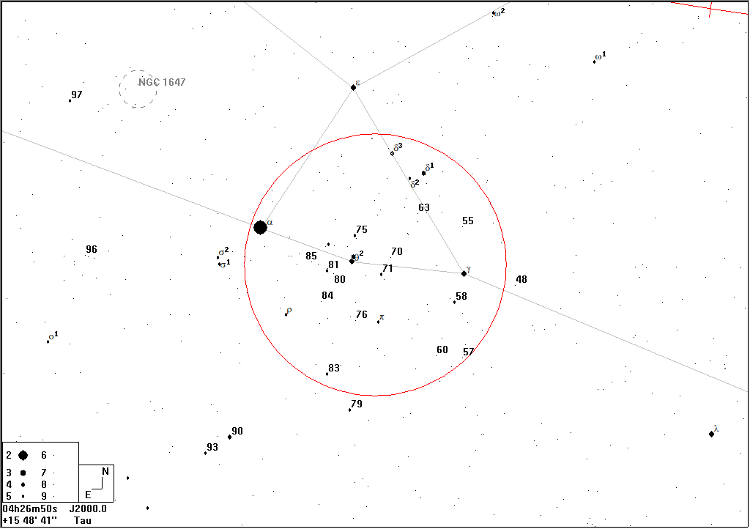 The Hyades is the large cluster adjacent to α Tauri (Aldebaran), which is not itself a member. This cluster, the second closest to us at a distance of about 150 light years, overflows a 5° field of view. For this reason, it is far better in binoculars than it is in a telescope. The brighter stars form the 'V'-shape with which we are familiar as the head of the Bull. 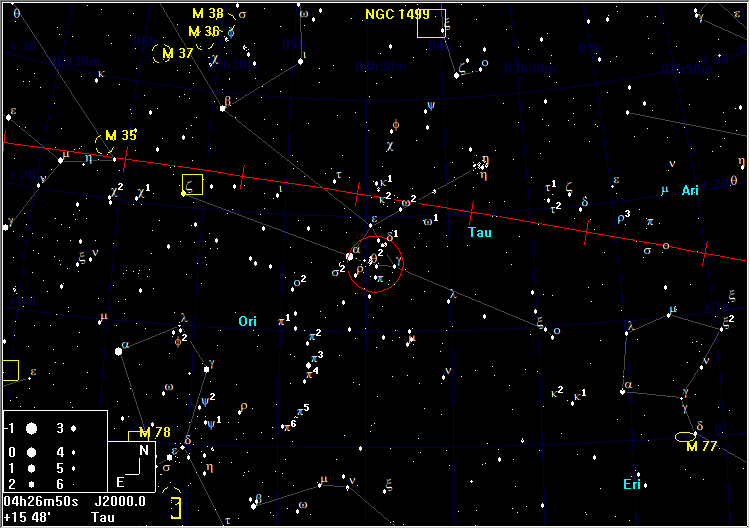 The Hyades lies at the approximate centre of a larger grouping of stars, the Taurus Moving Cluster, some members of which are over 45° from the Hyades. Several tens of stars are revealed by 10×50 binoculars. 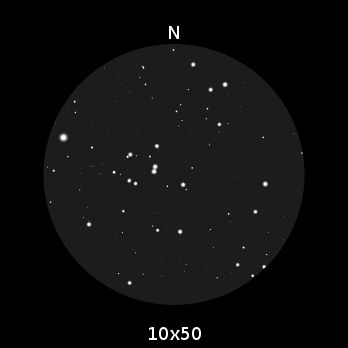 Also worth a look is the cluster NGC 1647 which is just to the NE.